MCC's five-year, $540 million compact with Senegal was designed to boost economic growth by unlocking the country’s agricultural productivity and expanding access to markets and services by investing in roads and irrigation networks. 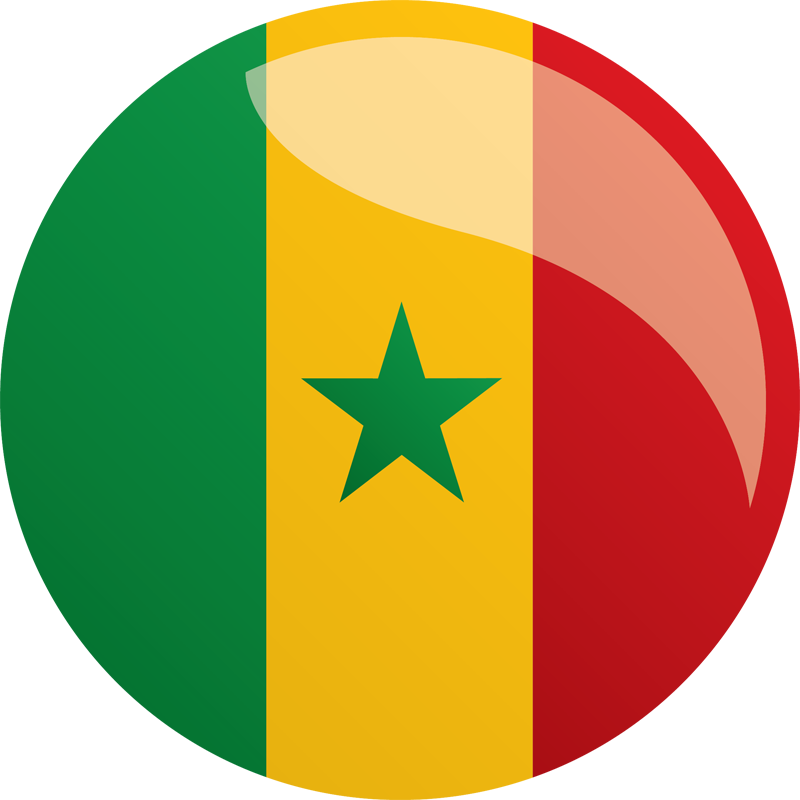 In September 2009, the U.S. Government’s Millennium Challenge Corporation and the Government of the Republic of Senegal signed a $540 million Compact, aimed at reducing poverty and increase economic growth by unlocking the country’s agricultural productivity and expanding access to markets and services. The two primary Compact projects, Roads Rehabilitation and Irrigation and Water Resource Management, are strategically investing in the road network and essential irrigation schemes and are geographically focused in the Senegal River Valley in the north and the Casamance region in the south. The Compact priorities were identified to align to the country’s comprehensive long-term objectives of enhancing national growth and food security. For the most up-to-date information on implementation progress, please read the Quarterly Status Report. MCC is working with the Government of Senegal via this Project to improve the productivity of the agricultural sector by extending and improving the quality of the irrigation system in the Senegal River Delta and the Department of Podor (at the Ngalenka irrigated perimeter). This Project has strategically invested in irrigation schemes designed to increase rural incomes and employment and to enhance the competitiveness of the rural economies in the Senegal River Valley, Senegal’s rice production heartland. The project is anticipated to safeguard and expand production on irrigated land in the Valley’s Delta area and develop an irrigated perimeter in Ngalenka. It is also addressing long-standing land tenure constraints by formalizing the farmers’ land rights, enabling a secure legal framework for continued investment. The Delta Project is upgrading and rehabilitating the main canal and drainage system in order to increase the volume of irrigable water, expand cropping intensity, and secure use of land currently at risk of abandonment due to soil salinization and insufficient flows. This will allow farmers to expand their rice, tomatoes and onions cultivation on an additional 7,800 hectares and increase overall production on 35,200 hectares. As Senegal currently imports 70 percent of its rice, these investments will also move the country closer to greater food security. The Ngalenka Activity is increasing agricultural production in a remote rural area through the construction of a new 450-hectare irrigated perimeter. The works include land levelling, intake and drainage pumping stations and construction of nine kilometers of primary and secondary canals, a six kilometer protection dike, 16 kilometers of drains, water control structures and 34 kilometers of access tracks. The establishment of the perimeter has been accompanied by training for the user groups, resettlement measures, a reforestation program and strengthening of existing land rights. The Project also includes a land tenure security activity was designed to accompany the irrigation rehabilitation to ensure that Project beneficiaries receive rights to their land and to mitigate potential land conflict that often results from the improved value of the irrigated areas. The Land Tenure Security Activity puts into practice existing national land legislation, which assigns significant land management authority to municipalities, through development of improved and more transparent land allocation processes; increased formalization of land rights; and enhanced capacity of government, private land managers and land property rights custodians. MCC is working closely with SAED (Société Nationale d’Aménagement et d’Exploitation des Terres du Delta), the agency providing irrigation water supply and drainage services in the Valley, to improve their financial sustainability and operational efficiency towards a performance-oriented maintenance management system. SAED serves seven water user communities in the Delta, who play a crucial role in water resource management. These committees are receiving comprehensive training as part of the Project aimed at ensuring their necessary operational roles in the irrigation system maintenance and management. The Roads Rehabilitation Project is designed to connect major population centers and agricultural production areas through rehabilitation of 372 kilometers on two of Senegal’s critical transport corridors: National Road #2 (Route Nationale 2 ~ RN2) in the Saint Louis region and National Road #6 (Route Nationale 6 ~ RN6) in the Casamance. The RN2 is the northernmost road in Senegal and is a strategic connector corridor from Dakar Harbor to Mauritania and Mali and to other large cities in Senegal. The RN2 road investment is upgrading and widening approximately 120 kilometers of road from Richard Toll to Ndioum, as well as constructing the Ndioum Bridge and its access roads. This investment will contribute to the development of economic potential in the Senegal River Valley, a zone known for its potential as a producer of rice. The RN6 is the single primary road available for transportation of local agricultural products from Casamance to the rest of Senegal without having to travel via The Gambia and serves as an essential connector with Guinea Bissau, Guinea (Conakry), and Mali. MCC’s investment in this region focuses on upgrading and widening 252 kilometers of the RN6 from Ziguinchor to Kounkane, and rehabilitating the Kolda Bridge. The RN6 investments will stimulate economic potential in the Casamance as a result of better access to markets in a region known for its strong agricultural potential. MCC standards also require specific environmental and social measures in the implementation of road works. These norms include, among others, developing plans for community reforestation, supporting the recovery of wood from past community deforestation activities, implementing an HIV/AIDS awareness program, resettling or compensating families affected by the rehabilitation works, implementing a community level environmental awareness program, constructing or moving weekly markets, and reconstructing safety walls where there are schools located within 50 meters of the road.